Nothing sweet about Ice King! When I bought Lottie 4 years ago she most definitely didn’t turn any heads and a television star she was not! Mould, rust, oil, rotting floor and flaky bodywork, not a pretty sight. 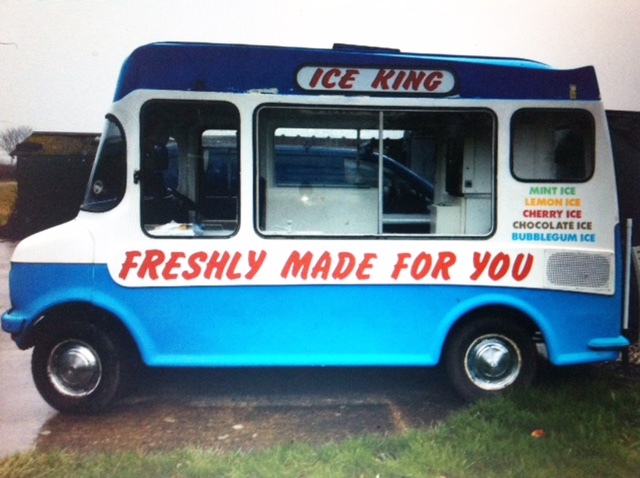 Her iconic 70’s British ice cream van figure was still there though and I had a vision!! During her restoration it was very important to try and keep her as original as I could so she didn’t lose her iconic look, whilst adding my own branding to her. I have been so lucky to be approached by several production companies looking to hire Lottie for their filming. A couple were very last minute and I was already booked for other events but I had three very exciting meetings with a camera this year! An email landed in my inbox back in May this year from the shopping television channel “Create and Craft”. Their Promo and VT Producer Director wanted to hire Lottie for a video shoot in the summer. Of course I said yes! 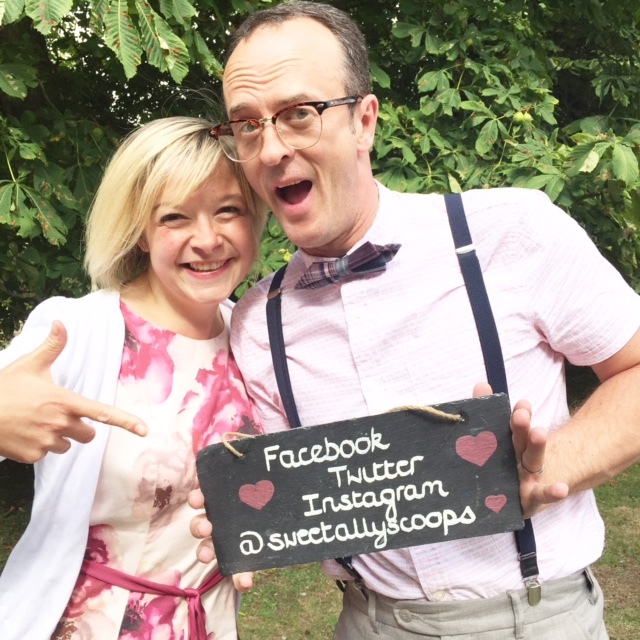 Off Lottie and I went to a beautiful location where I met two of the Create and Craft presenters, Nigel May and Leonie Pujol. They were both so lovely and friendly but also a complete pair of mischiefs! I didn’t stop laughing all day as I stood behind the scenes and watched the pair of them giggle and tell jokes to each other whilst still remaining professional and doing as the director told them! 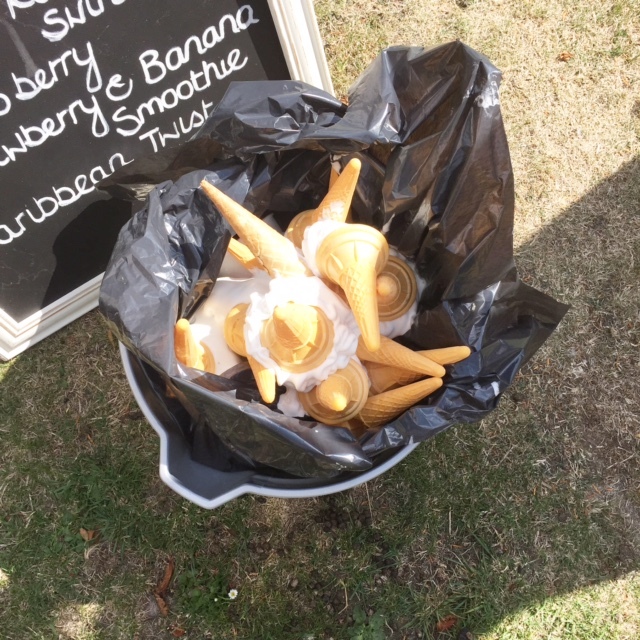 The biggest laugh of the day was teaching Nigel May to dispense a “99” cone. So many people don’t realise how hard it is to do. Nigel knows! He was rubbish at it! The harder he tried the worse he got! Stick to presenting Nigel! I then had to drive Lottie along the country lanes whilst being filmed. Not an easy task again when every time the camera rolled I had a motorbike or car overtaking me. The final cut came at about 5pm just in time for me to catch driving home in rush hour traffic! Lottie didn’t mind as we had an amazing fun day and the finished result was great. How chuffed was I to see the shoot on the television several times a day during the bank holiday weekend! Check out my facebook page to watch the finished shoot. Next booking was a film shoot in London. I had to sign a contract not to divulge any info before it airs in the spring 2016!! So watch this space! 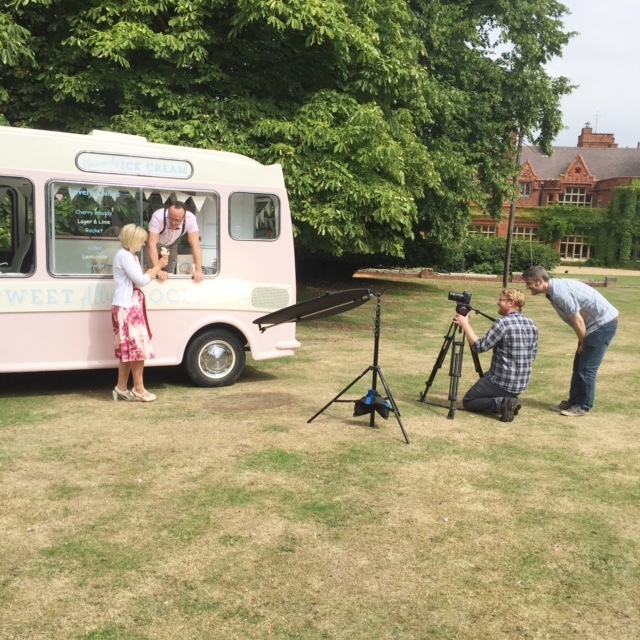 My favourite scoop by far this year was for the cast and crew of the ITV drama Granchester. I was contacted by one of the production assistants and asked if I could scoop for them all in between filming. James Norton is the lead actor and he also called me to ask if I was free to scoop for them! The day was amazing and everyone was so nice and friendly. 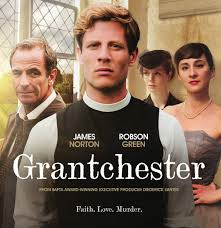 The production takes over the whole village of Grantchester in South Cambs but the locals enjoy it and even take part in the filming. 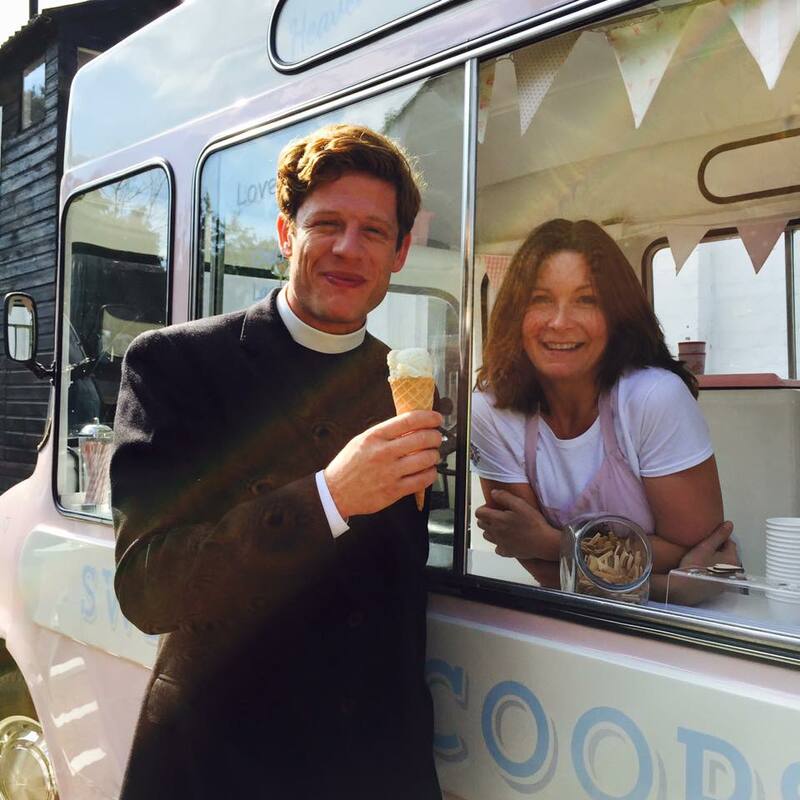 I met James who is so unbelievable charming and dashingly good looking even in his vicar’s outfit! He choose a double scoop of salted butter caramel and gooseberry sorbet…0dd but tasty! After scooping for everyone, I was invited to go behind the scenes and watch the filming which was in the church graveyard on that day. I can’t wait for it to be shown in the spring. Fingers crossed 2016 brings more exciting TV work!